The story of a girl and guy organising their wedding in 11 Months. Follow us from the story of our very romantic Engagement through to our big day! Can you believe it? We started writing this blog a whole year ago! 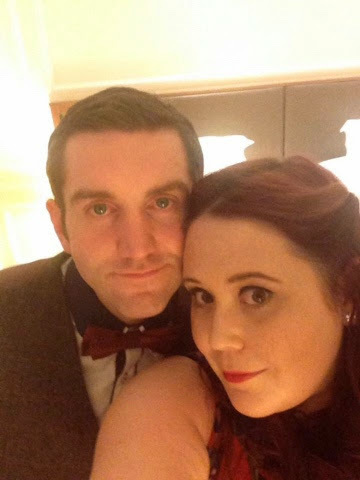 We decided to write the blog to le our friends and family in on the whole story of how we got engaged, 12 months in and we have an amazing number of followers from all over the world! I honestly though we might get about 100 views on the blog (mainly my mum) and that we might last until Christmas, not having much to say. Now we have tens of thousands of views and are the featured blog on North West Bride Magazine! How crazy is that? Anyway, to celebrate this we want to give you all a piece of our wedding! We have some of our favours left and want to share these with you! We decided to go for something a bit different (I'm sure you are shocked!) and designed up some puzzles with our cartoon on them!! 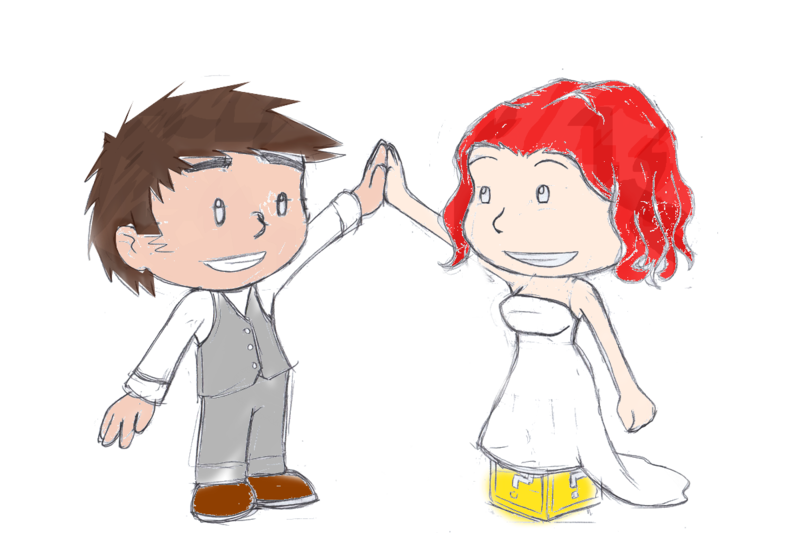 All you need to do is send an email to howgeeksgetmarried@gmail.com with your name an address and we will send it on to you! Thank you all again for all your support over the past 12 months! So this is going to be a picture heavy post. 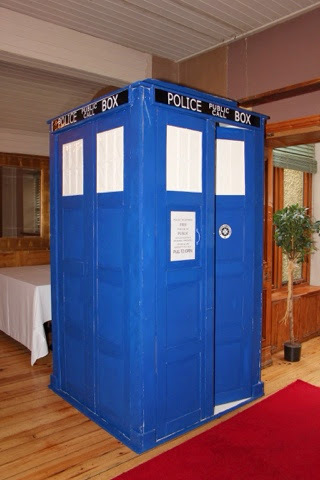 This week I am going to chat about our Tardis. We had just got engaged this time last year and as we frequently did we would brainstorm ideas while driving on the weekend. 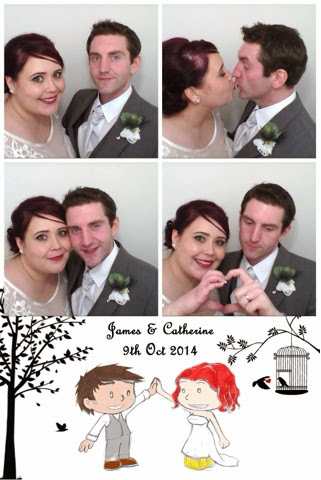 We were away shopping and while on the motorway Catherine said we should have a photo booth at the wedding. 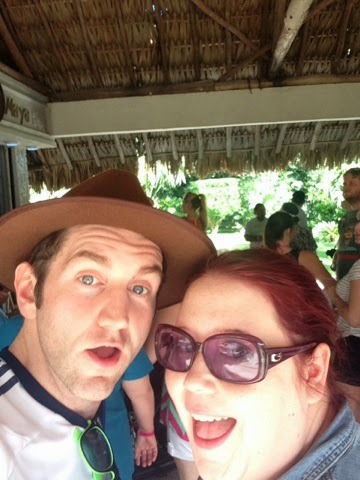 Then simultaneously we both said "how cool would a Tardis photo booth be?" It was that point I said in my Wayne world voice "I will build you a Tardis!" That's how it all began. I started on the plans, spent a lot of time on tardisbuilders.com and dreaming of how it would all come together. I started building in January. I took a trip to B&Q with my dad. Filled up the van full of wood. I was giddy with expectation. Between work and home life the only chance I had to work on the Tardis was on Saturdays. I would wake up and go to work. Every time I finished for the day I would show Catherine pictures of my progress. It looked like a giant brown box but to me it was so much more. Everytime I looked at it all I could see was the finished product. Time drew on and the weeks turned to months. Every week I would spend my spare time working out details of how it would come together. Where to get the paint? What is the perfect colour? What style will the windows be? How to get windows on it? How to make the doors open? How to make sure the doors stay closed? So much time was spent inventing ways to build the Tardis. It was time to paint. Catherine and I went to home base in Omagh. Now I must say home base became like my second home, every Saturday morning I would pop in a grab some wee item that I had be mulling over all week. I'd also take the opportunity to call in with the Morris'. 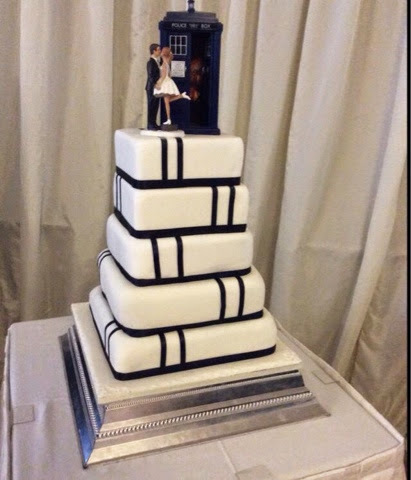 We took our Tardis cake topper with us as well as the Pantone number and the colour name (Oxford blue). Homebase were able to match the paint and then begun the only pain of Tardis building. I hate painting. I am no good at it. However this was a labor of love. Base coats, drying, first coat, drying, it takes forever!!! It was almost there! Thanks to signature signs in ballygawlley they were able to print the "police public call box" signs and now it was the headache of actually turning what I had build into a photo booth. A computer monitor from Amazon £15. Then after a lot of research a canon selphy printer cp500 bought from ebay. Ink and paper from Amazon. One of the main issues I had was that I wanted the photo booth to be completely automated. One big red button and that's it. Takes the pictures, does voice prompts and prints without any other input. The issue is that there is no real usb red button on the market. After a couple of weeks of pondering. I ended up with a guitar foot peddle linked by usb with a red cover. I used a piece of software to record the input and matches it to the key required to start the program. The software used to run the photo booth was "sparkbooth" it works out at around £35 and it does offer a lot of customisation. 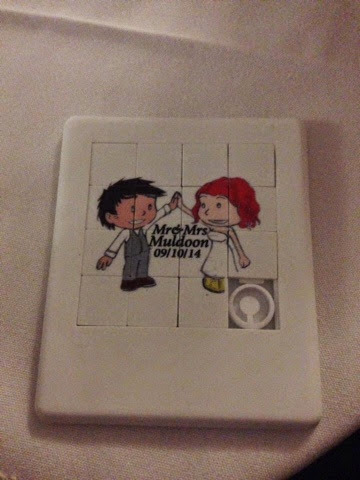 We designed up the photos to print with our how geeks get married logo. 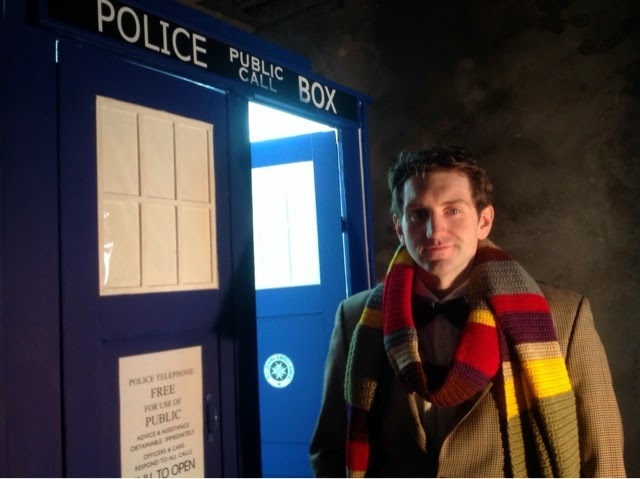 Thank you to lusty beg for letting us set up the Tardisbooth the night before as it would have been a nightmare to do it on the day. It went down a storm. I looked really impressive and it functioned well. All our guest who had a chance to get in had a personalised keepsake of the day. Now that it's all over what to do the the Tardisbooth? If you have any ideas what we should do please get in touch! So the wedding is now 5weeks past and we had been warned that it would be around now that we would be starting to feel a bit low, or at leat feeling like there was a bit of an anticlimax. Luckily though, we are still flying high! We've been enjoying all the buzz of catching up with friends and family since the big day. We've been settin up our house! So with all this going on we just seem to be getting higher and higher! 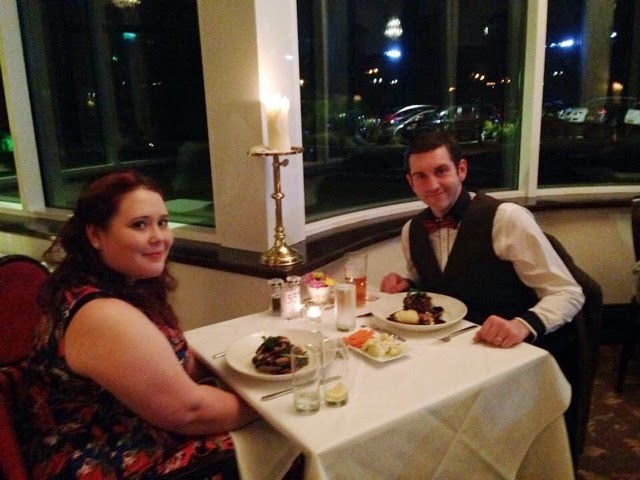 We received the amazing gift of a night at the Slieve Donard Resort and Spa (http://www.hastingshotels.com/slieve-donard-resort-and-spa) from one of my Gorgeous Bridesmaids, Cathy. It included dinner, breakfast and a 1hr treatment at the spa! 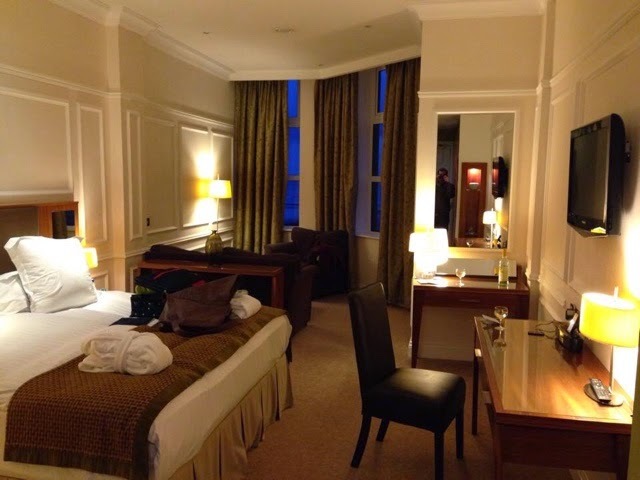 When we arrived up we found out we had actually been upgraded to one f their Reaort rooms which was a lovely surprise! It was absolutely stunning! We went downstairs for a few drinks and then came back upstairs got dressed for dinner and went down and had the most incredible dinner! The food was fab - as were the service! I can recommend it enough! The next day we headed to to a scrummy breakfast and then down to the spa - full body massages for each of us! It was exactly what we needed! We decided to wait a few weeks after the wedding before heading away! So we will be flying off in the next few weeks and. We can't wait to share it all with you!!!! As I have mentioned when we arrived we got to hear one song from Danny Conlon Jr. We were quickly caught up in chatting to all our guests. Making sure they had enough to drink and that they were enjoying themselves. We had arranged a champagne (bubbles) reception to go with the music (Bublé). 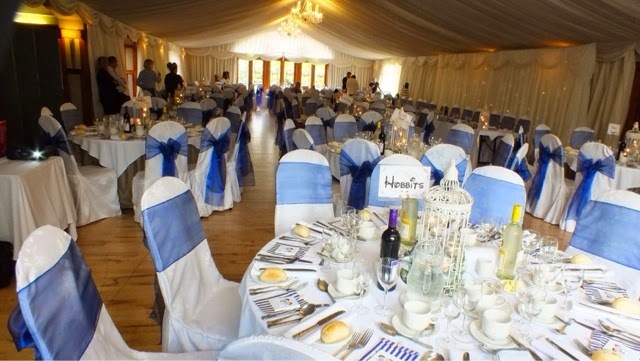 We went straight to the reception room to see how everything had been set up. We had brought the flowers from the church to decorate the room some more. I was in awe; the room looked like a massive marquee. 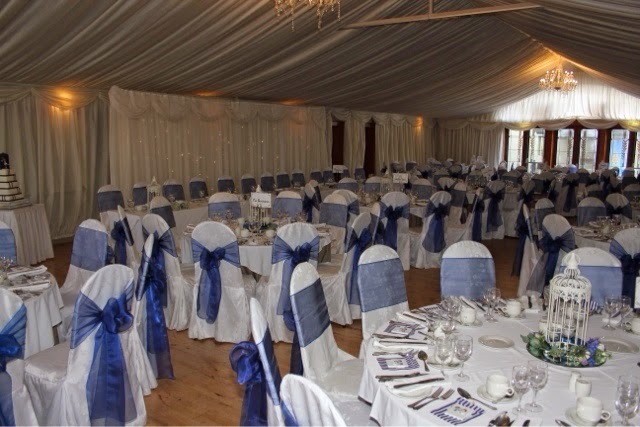 The walls and roof were draped in white, all they chairs and tables were white with a blue ribbon. For our table centres we had bought white birdcages that hold four tea lights, Iona then proceeded to wrap the flowers from the pew ends around the cages to great effect. I then noticed it! The cake! It was huge. The cake had five tiers. All wrapped with blue ribbon. 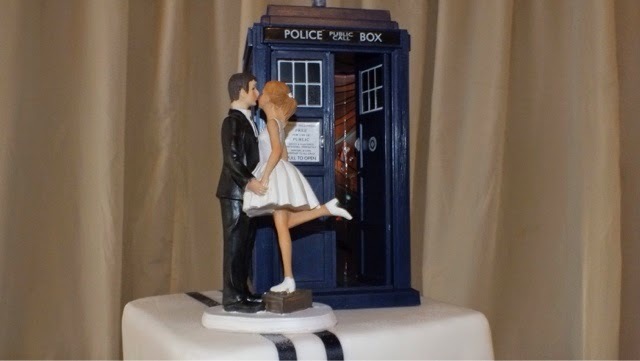 Atop the cake stood our cake topper an 8 inch Tardis with sounds and flashing lights. In front the bride and groom kissing as she stood on top of a suitcase. At this stage time was getting on. We left the team to finish setting up the flowers and we went to get our photographs taken. Before we left it was my job to set up one last thing. I unveiled it. I turned on the power. The computer was running, the printer was full, the camera was adjusted. 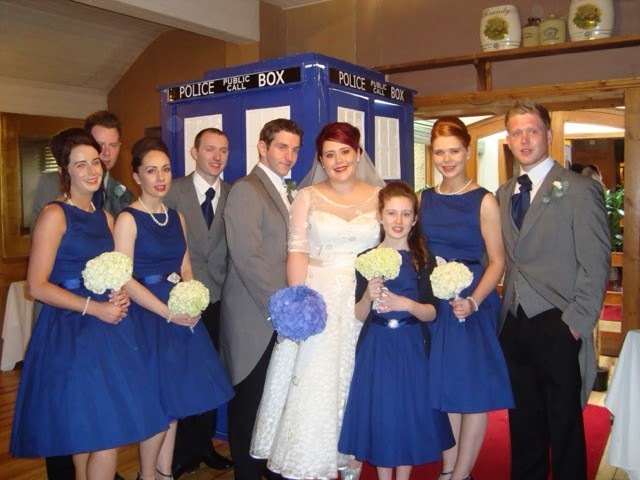 Our life size homemade Tardis photobooth was running #Tardisbooth. I will go into more detail next week. The Mass was over and we signed the papers. We were all in good spirits. We all noticed that the sun started shining through the window onto our wedding papers. It looked really cool. We got a chance to get our picture taken with the Cross that had sat at the top of the Sacred heart spire before the renovations had started. It will probably be coming down again for another 150 years! It was great craic meeting everyone as they were leaving the church. So many faces we hadn’t see in a while as well as those faces that just make you smile. Our little Balloon girl was again very entertaining. We got pictures taken with each others families. It is like a tradition in my house that the family wedding picture is hung on a particular wall in the home house so now Catherine and mine will join that tradition. 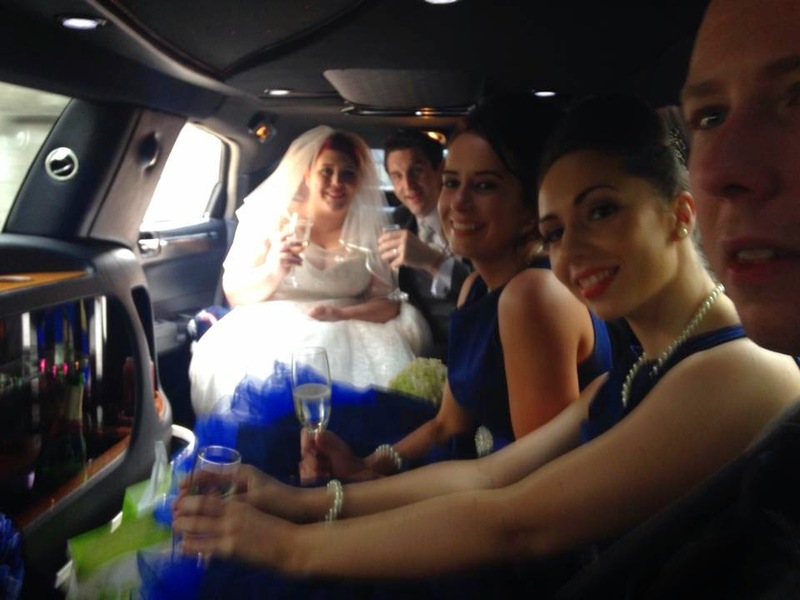 The amazing Glendale Limousines laid on a fantastic service, champagne of everyone and coke for the little one (Fionnuala). They were even very patient with us. (Damien ran across the road to get a few Bud for the drive). The whole time the wedding part chatted giggled and made jokes. Noodles even made sandwiches for the journey. By the way a top tip is to bring sandwiches and snacks in the Limo! You will never believe how hungry you will feel. The Limo pulled up to the ferry to Lusty Beg, we went across and at this stage we were enjoying the champagne a lot. Our photographer continued to take photographs the whole time. We entered Lusty beg and were greeted by another glass of champagne. Also playing for our guest was our “Bubbles with Bublé”. 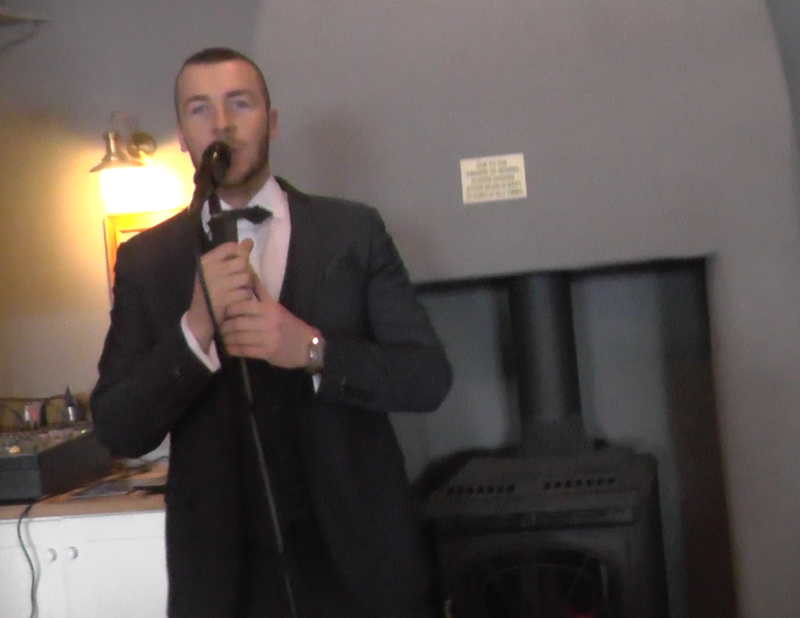 For the drinks reception entertainment we hired Danny Conlon Jnr. Catherine will continue on Thursday! In the meantime here is a video of some of the fantastic pictures taken by our friends and family! Videos... Or it didn't happen! So I got our raw footage the other day and I'm so excited to be getting a chance to edit it all myself! James's lovely uncle Peter filmed the whole day! There are some amazing shots! You all know that the day was filled with little quirky items but some of you may not have seen that the boys made a special effort with their speeches! Here is the intro to our amazing Best Man's speech! The speeches were incredible and everyone enjoyed them- that's the joy of having storytellers as family! The craic was amazing! James's speech was really great, although there were a few photos that I wasn't entirely impressed with! I will let him fill you in with all that! If you want to see some of the pictures that our friends and family have shared with is on Facebook check out the quick video I made over on Animoto!